Don't know what to eat while on the Atkins Diet? How about browsing through 101+ delicious, easy-to-fix recipes! Scour through breakfast, lunch, dinner, soup, salad, snack, and dessert menus to find the perfect meal for you. Not quite sure what you should be eating on the Atkins Diet? No problem! Just use the handy, Atkins food checker. With over 300 items, you won't have to wonder anymore! 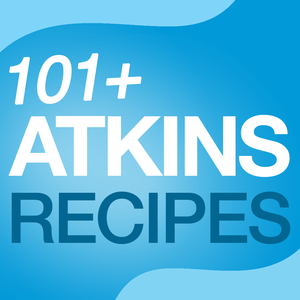 As an added bonus, check out the top tips from the experts to help you along with the Atkins Diet. 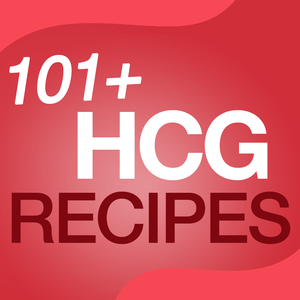 Don't know what to eat while on the HCG Diet? How about browsing through 101+ delicious, easy-to-fix recipes! Scour through breakfast, lunch, dinner, soup, salad, snack, and dessert menus to find the perfect meal for you. 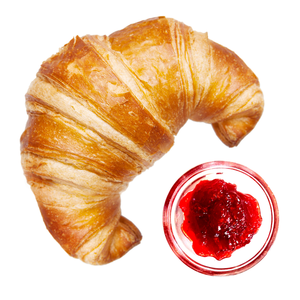 Not quite sure what you should be eating on the HCG Diet? No problem! Just use the handy, HCG Diet food checker. With over 300 items, you won't have to wonder anymore! As an added bonus, check out the top tips from the experts to help you along with the HCG Diet. 1300 Food Cholesterol List *** 50% Off Today!! **************************** ABOUT HIGH CHOLESTEROL LEVELS ========================= High cholesterol is one of the major controllable risk factors for coronary heart disease, heart attack and stroke. As your blood cholesterol rises, so does your risk of coronary heart disease. If you have other risk factors (such as high blood pressure or diabetes) as well as high cholesterol, this risk increases even more. Eating saturated fat, trans fats and dietary cholesterol also increases your cholesterol levels. A general guideline is that an adult should not consume over 350mg of cholesterol per day. ABOUT THIS APP ============== 1300 Food Cholesterol List is an application containing nutritional data of 1300 types of food. For each type of food included in this App, the total Calories, saturated fat, monounsaturated fat, polyunsaturated fat, and cholesterol levels are included. This App is an excellent reference Apps for anyone who wants/needs to control their cholesterol intake. This is also helpful for heath-conscious moms when selecting ingredients for cooking meals. Disclaimer: This App is for reference only. Please be reminded that you should always consult your doctors with your recommended cholesterol daily intake limit. The application is optimized for iPad/iPad2/The New iPad/iPad mini, iPhone 3GS/4/4S/5 & iPod Touch. **************************** FEATURES This application has the following features: * User-friendly views with THUMBNAIL preview of each item * All Category View to preview all types of food in alphabetical order * Ability to BOOKMARK selected food for easier reference * Add a CUSTOM NOTE to any food * iCloud synchronized Bookmarks and Custom Notes * EMAIL any items to yourself & friends * A food name SEARCH engine * Enter a RANDOM entry when shaking the device * OFFLINE browsing **************************** This application is brought to you by Fobotech LLC. 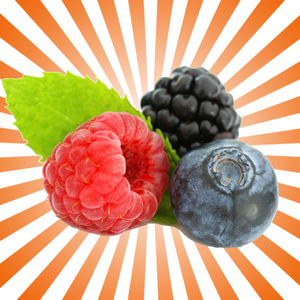 Antioxidants Food List *** 50% Off Today!! **************************** ABOUT ANTIOXIDANTS ============== As the name implies, antioxidants are substances that are capable of counteracting the damaging, but normal, effects of the physiological process of oxidation in human. Antioxidants are nutrients (vitamins and minerals) as well as enzymes (proteins in your body that assist in chemical reactions). They are believed to play a role in preventing the development of such chronic diseases as cancer, heart disease, stroke, Alzheimer's disease, Rheumatoid arthritis, and cataracts. ABOUT THIS APP ============== Antioxidants Food List is an application containing over 300 types of food rich in antioxidant (measured by Oxygen Radical Absorbance Capacity or "ORAC"). 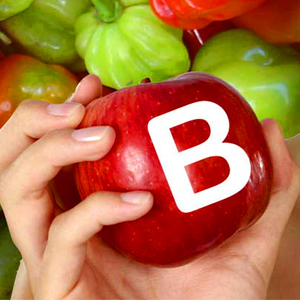 The food list is divided into 3 categories: Heavy Antioxidants, Moderate Antioxidants, and Mild Antioxidants. This App is ideal for those who wishes to include more antioxidant food in their daily diet, as well as for those who are looking for a handy reference App for Antioxidant food. Disclaimer: This App is for reference only. Please be reminded that you should always consult your doctors/physicians if you have any medical conditions and that following this guide may not be suitable for everyone. The application is optimized for iPad/iPad2/The New iPad/iPad mini, iPhone 3GS/4/4S/5/5S/5C/6/6+/6S/6S+/7/7+ & iPod Touch. **************************** FEATURES This application has the following features: * User-friendly views with THUMBNAIL preview of each item * All Category View to preview all types of food in alphabetical order * Single Category Views to view foods of the same category * Ability to BOOKMARK selected foods for easier reference * Add a CUSTOM NOTE to any food * iCloud synchronized Bookmarks and Custom Notes * EMAIL any item to yourself & friends * A food name SEARCH engine * Enter a RANDOM entry when shaking the device * OFFLINE browsing **************************** This application is brought to you by Fobotech LLC. Figuring out what you can eat on the Atkins Diet can be a daunting task. With this app, we made it easy! You can browse through the food categories, use the simple checklist, or use the search bar to find a particular item. No more time consuming internet searches, no more scratching your head while grocery shopping, and no more guessing! 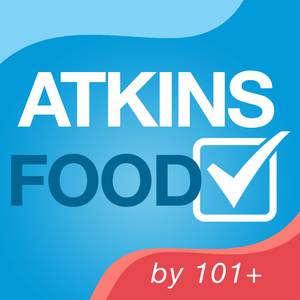 The Atkins Diet Food Checker is an easy, no-nonsense way to find out what you can eat and cannot eat on the Atkins Diet. With the simple checklist included in this app, you will find the top suggested foods for the Atkins Diet listed for easy reference. As you can see, this app is a must have for anyone on the Atkins Diet! The Atkins diet is a low-carbohydrate diet, usually recommended for weight loss. Proponents of this diet claim that you can lose weight eating as much protein and fat as you want, as long as you avoid foods high in carbs. The Atkins diet is one of the best-known low-carb diets, and the research shows it can work. If you fill your day with processed carbs like white bread, pasta, and potatoes, and you don't eat many fruits and veggies, then this diet may be the jump-start you need to lose weight. We are here with this Atkins diet food list app to get all type of foods for diet plans. Has your doctor asked you to track the introduction of solid foods for your Little One, but having trouble keeping up? ***** Get the app theiphonemom.com gave 5 Stars! ***** Trying to space new foods by a few days, but losing track? Want to make sure you introduce a good variety of foods to LO, and avoid falling into a rut? Worried about keeping track of reactions or allergies? Have twins, with twice as much chaos at mealtime and twice as much to track? Baby Bites is the app for you! Are you using baby-led weaning for your little one? 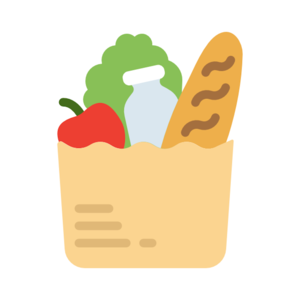 Baby Bites lets you track the introduction and acceptance of foods, and provides easy to use sorting features to make sure you re-visit foods that weren't preferred. I've found, and many recommendations state, that re-introducing even strongly disliked foods repeatedly (even if just for a taste) can quickly turn a picky eater into one that enjoys a variety of food. Similarly, you may need to keep track of foods to which your LO had a bad reaction – either to avoid completely, or to carefully reintroduce at a later date. No matter what your food introduction needs, Baby Bites has you covered! Now supports a detailed history view, email export (so you can send to your Dr., for example), and the ability to configure the exact time of meals. Has your doctor asked you to track the introduction of solid foods for your Little One, but having trouble keeping up? ***** Get the app theiphonemom.com gave 5 Stars! ***** Trying to space new foods by a few days, but losing track? Want to make sure you introduce a good variety of foods to LO, and avoid falling into a rut? Worried about keeping track of reactions or allergies? Have twins, with twice as much chaos at mealtime and twice as much to track? Baby Bites is the app for you! Are you using baby-led weaning for your little one? Baby Bites lets you track the introduction and acceptance of foods, and provides easy to use sorting features to make sure you re-visit foods that weren't preferred. I've found, and many recommendations state, that re-introducing even strongly disliked foods repeatedly (even if just for a taste) can quickly turn a picky eater into one that enjoys a variety of food. Similarly, you may need to keep track of foods to which your LO had a bad reaction – either to avoid completely, or to carefully reintroduce at a later date. No matter what your food introduction needs, Baby Bites has you covered! 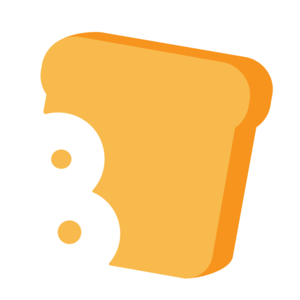 Bitesnap – Photo Food Journal – Bite AI, Inc.
Bitesnap is a smart food journal designed around photos. Track what you eat just by taking a picture. Snap a photo of your meal, confirm a few details, and you're done! Bitesnap figures out the foods in the picture, letting you track calories and nutrients without the hassle of entering items by hand. Whether you're trying to lose weight, eat more healthily, or just want more insight into your diet, Bitesnap can simplify your life by making logging a breeze! Try it today to start building healthy eating habits. Use this app to count, track, chart and control your calcium intake to avoid calcium deficiency, which is most common if you are on a vegan, milkfree, or weightloss diet, or are pregnant or breastfeeding. Calcium deficiency causes bone and tooth fractures, brittle hair and nails, and muscle cramps and spasms. Additional app features include at-a-glance descending order lists of calcium content of >300 common foods in mg and %RDA (Adult Daily Recommended Dietary Allowance) /100g to help you plan calcium-containing meals; and really useful hyperlinks to essential nutritional and healthy food information with ≈200 photos to support your weightloss, hearthealth or other diet. No internet connection, registration, personal details or additional payments required. 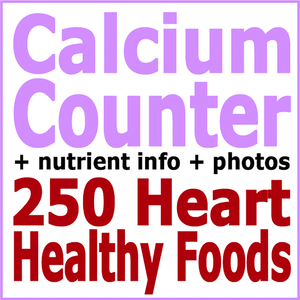 Use the count and organiser tools to keep a daily record and bar chart of the calcium in mg and %RDA provided by 250 heart healthy foods, 55 popular "not heart healthy" foods, and foods you choose to add to the counter in the quantities you’ve eaten. The interface is easy, quick, and intuitive to navigate, colour-coded, searchable, and zoomable using the pinch screen function. Viewable in landscape and portrait. 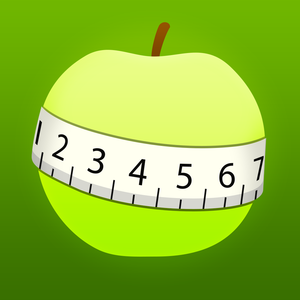 Calorie Counter and Food Diary by MyNetDiary – for Diet and Weight Loss – MyNetDiary Inc. Lose weight and get healthier with MyNetDiary - the fastest, easiest, and smartest iPhone calorie counter and weight loss program. Millions of people have used MyNetDiary toward reaching their weight goals. MyNetDiary gives you the best tools to track food and exercise, plan healthy meals, and stay motivated. Easy-to-use, personalized app, with fastest food entry taking only minutes of your time, will help you stay on track and reach your goals! MyNetDiary is based on proven science - it's rated as the #1 mobile diet app in an independent study published in the American Journal of Preventive Medicine. The New York Times, comparing to MyFitnessPal, calls MyNetDiary “simpler… quicker… also, it looks nicer." MyNetDiary has been featured in USA Today, Wall Street Journal, Consumer Reports, NPR and many more. 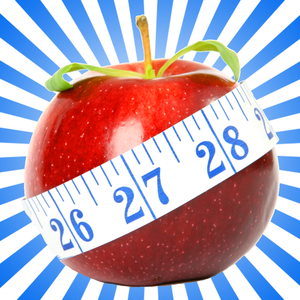 USER REVIEWS "This is the best tool I have ever used to keep track of my weight loss.” "This app is extremely user friendly." "Absolutely awesome – it’s like having your own nutritionist with you at all times.” "If I could have only one app on my iPhone, this would be it!" WHY MYNETDIARY IS BETTER * MyNetDiary is a nice, simple-to-use app you’ll enjoy using every day. * Powered by the largest verified food database, over 690,000 foods. UPDATED DAILY. * Much easier and faster food entry - searches as you type, remembers your favorites foods and amounts. * Flexible amount entry with multiple servings for most foods - grams, oz, cups. * Personalized advice and reminders from Virtual Coach * Daily and Weekly** Analysis - what you can improve to eat better and stay on track. * Food Grade with Food Check included - get immediate feedback on food nutrition, understand food labels and make better food choices. * Built-in GPS tracker to automatically track your exercise. * Tracks up to 45 nutrients** * PhotoFood Service - if a food is not in the database, send its photos from the app and we will add it for you! ** * Food time tracking, keep track of multiple snacks** * Plan, track and chart macronutrients, all body measurements and more** * Links to fitness trackers and scales from Fitbit, Garmin, Jawbone UP, and Withings** * PDF reports to print and share over e-mail** * Syncs with MyNetDiary.com for online food and exercise entry. * Beautiful design - A PLEASURE TO USE. FOOD TRACKING * Very fast and easy entry. There is no faster way to enter foods than with MyNetDiary. * Searches as you type * Built-in barcode scanner * Organizes and remembers your favorites and typical servings * Speeds up entry with custom foods and recipes * Quick calories entry EXERCISE * Over 500 activities and exercises * Custom exercises * Built-in GPS tracker to log your exercise - when you run, walk, or cycle, helping you get more active. SIMPLE AND FLEXIBLE PLANNING * Set your target weight. * Plan for your target date or desired weight loss rate. MyNetDiary for Apple Watch: The ideal companion to MyNetDiary for iPhone * Check remaining calories and daily totals * Get daily tips * Log water and weight * Log foods from favorites or with dictation, or quickly log calories HEALTH APP INTEGRATION * Writes foods (with up to 30 nutrients), workouts, weight, BP, BG, and more * Reads workouts, BG, weight, daily step count and BP TODAY WIDGET * See calories left, jump to meals, use Food Check and water tracker. GET SUPPORT FROM COMMUNITY * Community forums supported by a Registered Dietitian * Connect with friends **AVAILABLE WITH MAXIMUM SUBSCRIPTION * MyNetDiary Maximum subscription, opens access to the most powerful diet tools available - weekly analysis, special charts, goals, fitness trackers and body scale linking, time tracking, PhotoFoods service, PDF reports, BG, medications, custom trackers, diabetes and pre-diabetes tracking and more. * Provides access to all of MyNetDiary website features, including integrations, diabetes, all charts and reports, printing, and Excel export. Calorie Counter and Food Diary by MyNetDiary – MyNetDiary Inc.